It is always good practice to read the software ‘release notes’ before proceeding with an upgrade. 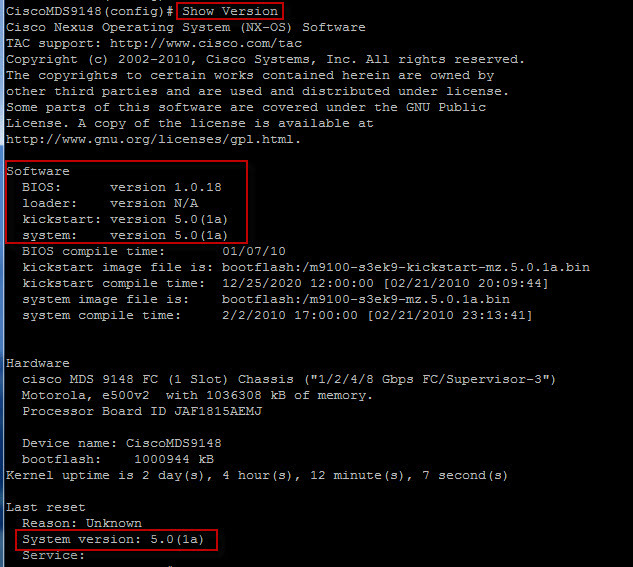 The ‘Cisco MDS 9000 NX-OS and SAN-OS Software’ release notes can be found here. 1. Open an SSH session to the switch. For a non-disruptive upgrade the switches are designed in such a way that the ports will remain connected and traffic flow will continue non-disrupted throughout the upgrade. This is so because the switch has been engineered in such a way that the control plane is separate to the data plane. In the case of a director level switch the modules are upgraded and rebooted in a rolling fashion one at a time non-disruptively(non-disruptively due to the separation of the control and data planes). 12. Run ‘show version’ to ensure the switch is now running at the upgraded code level. 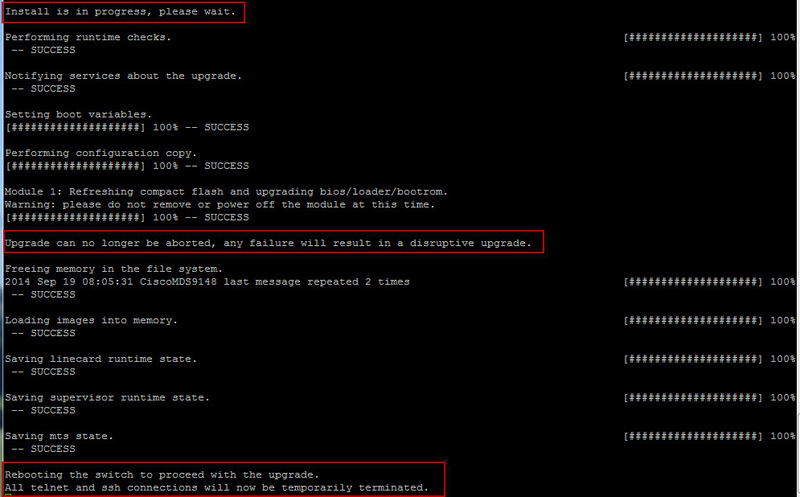 As you can see from the below example the ‘system version’ is still on the previous firmware level – a reload is required to apply the upgrade. NOTE: A reload is disruptive to traffic flow (As pointed out by @dynamoxxx below). This is not common and I have only identified this with the 9148 Switch when upgrading from 5.0.x to 5.8.x. reload after the upgrade (disruptive to FC traffic folks) ? Not a single MDS switch requires reload ofter NX-OS upgrade unless you are downgrading. Also supervisors on directors never go back to original active/standby state, you have to manually switch them over. As always @dynamoxxx thanks for your input. Post updated to reflect the disruptive nature of reload. Good article. 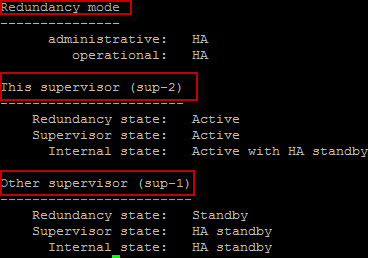 A query regarding upgrade process for a director class switch (9513), would I have to copy the bin files to the standby sup as well? great article. does MDS 9500 require incremental NXOS upgrade? or can i just go from version 4.2(7e) to 7.3.1.DY.1? MDS 9513 requires reboot after NX-OS install from 5.2 to 6.2? Nope! 5.2 to 6.2 is non-disruptive.